Home » MIC Information » Frequently Asked Questions: Can’t I just replace or repair the leaking pipe? Frequently Asked Questions: Can’t I just replace or repair the leaking pipe? Failure to halt the MIC colony will lead to additional pipe degradation, continued pin-hole leaks and continued repair or replacement costs. 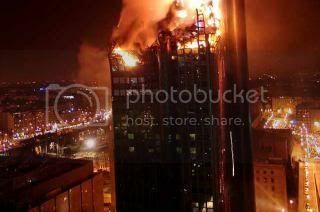 MIC can be located in multiple different locations throught a fire sprinkler system. Replacing or repairing one area will not solve the system wide issue. 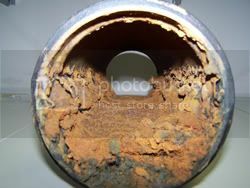 Buildup of deposits on the interior surface of the pipe walls narrows the pipe and diminishes the rate at which water flows through the system. The system can eventually have full pipe blockage. Tubercles can also break free and clog sprinkler heads. Knowing that you have signs of MIC, but doing nothing to safeguard the performance of your fire sprinkler system can be interpreted as willful negligence. Liability exposure for damage, bodily injury or loss of life is greatly increased in the event of willful negligence.